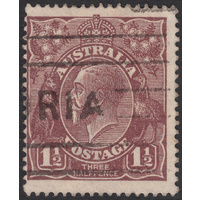 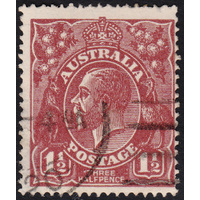 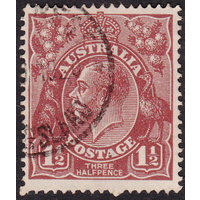 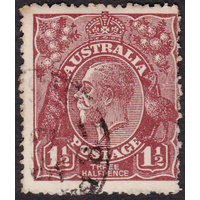 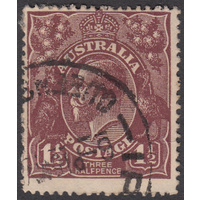 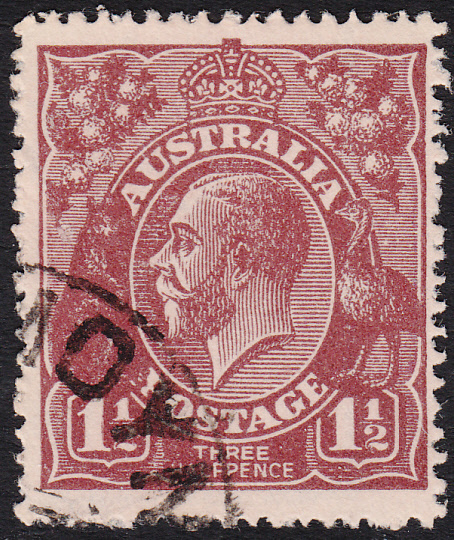 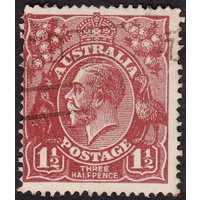 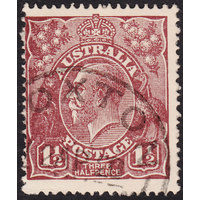 Australia KGV 1919, 1&1/2d Brown, Single Watermark, variety 5AL60 (shade break near left end of 7th full-length shading line above Emu's back) in Fine Used condition with no faults. 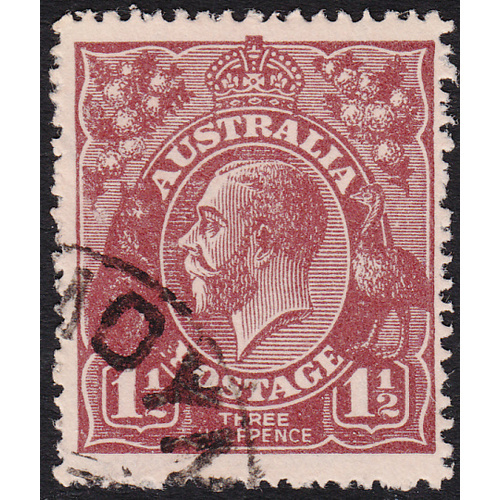 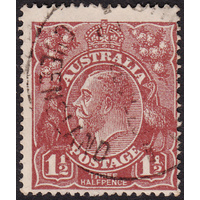 Reasonably centered with some "fluffy" perforations and a circular datestamp cancellation well clear of the variety. 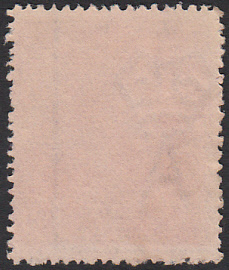 Bottom and right marginal watermark lines present. 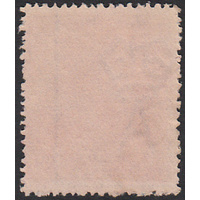 Excellent example!